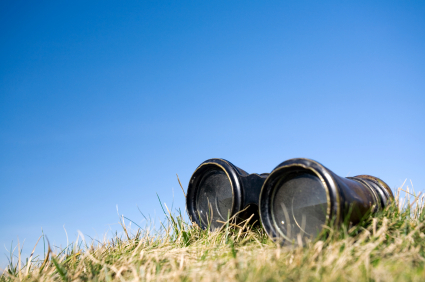 There are so many binoculars out there, it can be tricky to know what to look for. Why do some cost $20 and others $1000? Whether you need binoculars for your annual hike, are getting ready for your first big hunt or are taking up birdwatching, the questions below will help you narrow down your binocular choices. 1. What type of binoculars do you want? There are four types of binoculars – compact, full, mid, giant. Compact binoculars are good for carrying in a small bag or pocket and can be helpful to have handy on a hike or at a concert or show. Midsize and Fullsize binoculars are good for hunters who want a higher quality of binocular. Giant binoculars are more popular among astronomers. You may also see them at visitor’s centers of scenic locations. Military and Police also make use of these large optics. 2. What power and objective do you want? All binoculars are labeled with a power and an objective number. Ex. 8 x 32mm. The first number is the power, the second is the objective or diameter of the objective lens (the large lens opposite where you place your eyes). Powers start at 4 and go up to 32 or higher. Higher does not necessarily mean better in this case. If you have the power too high, closer images can become blurry. To choose which power is best for you, you’ll need to determine what you’re using the binoculars for. Hunters usually want a 10 power if they need to look across great distances. Birdwatchers will usually not need a power as high as their objects are usually closer to them. Serious astronomers will need the highest power as their objects are the greatest distance away. The objective can range from about 20 mm to over 150 mm. A larger objective will let more light in, improving you visibility at dawn and dusk. Once again, a larger number is not always better. The most popular objective size among hunters is 42 mm. Optimal objective sizes range greatly depending on your binocular usage. 3. What field of view do you want? The field of view is the range of area you will see around the object you are directing the binoculars towards. Binoculars with a greater field of view will allow you to see a greater area to either side of your focus point. You’ll want a greater field of view if your binocular use requires that you see a greater range of the distance. 4. Do you need them to adapt to a tripod? This feature may not apply to you, but if you are planning on setting a tripod up to look over a certain scenic area, you will want binoculars that can adapt to that tripod. You may also want to use a tripod if you have shaky hands or worry about not having your binoculars be steady and level. 5. Do you want waterproof binoculars? Getting binoculars that are waterproof is especially important if you could be hunting in rain or if you are planning to take them in a canoe. It is a good idea to get waterproof binoculars as you may find yourself caught in rain unexpectedly while in the middle of looking at something great through your binoculars. 6. Do you want coating on the lenses? Having coated lenses is important if you anticipate using your binoculars in cool morning hours as the coating will prevent your lenses from fogging. 7. Do you want rubber coating or not? Rubber coating is popular among binocular users as it adds to the comfort of holding binoculars and increases protection in case of dropping. 8. Do you want them to be shock proof? If you are planning on carrying the binoculars along some rough terrain – in the woods or up a mountain side – you might want to consider buying shock proof binoculars. If you are naturally very careful with your things and don’t worry about dropping your binoculars, this may not be a necessary feature for you. 9. How much do you want them to weigh? Like most of the other questions, this depends on your use of the binoculars. If you are hiking through the woods hunting for the day, you’ll want binoculars that don’t weigh you down too much. If you are staying in one location to do some bird-watching or checkout some scenery, you might not need the binoculars to be as light. 10. How much should you spend on your binoculars? This is something you’ll have to determine based on what you’re going to do with them, what the chances are that they’ll get lost, and how often you’ll use them. With these guidelines on how to choose binoculars, you should have a much easier time getting ready for your next fun adventure! Once you choose your binoculars, be sure to get some EyeShields for them so you can get the most out of your binocular-using experience. EyeShields fit on all of the popular brands of binoculars including Nikon, Zeiss, Brunton, Vortex, Bushnell, Swarovski, Leica, Vixen and more.